Check out this free new game for iOS and Android devcies. 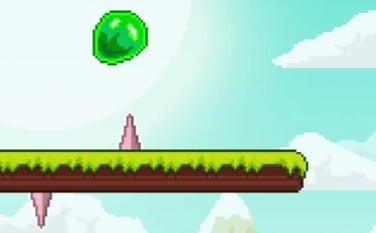 While Level 1 of Bouncing Slime might not be as difficult as the name suggests, it can still trip you up if you're not careful. How many tries did it take you to reach the finish line?